One of my biggest concerns about living in Baños was how I would play tennis, since I plan to play for my high school when we return. My dad and I asked around town and heard two answers: No hay (there aren’t any), or Al Sangay (at the Sangay hotel).We decided to look into it and went to the Sangay Hotel. Once a luxury hotel, the place is well kept but it doesn’t seem that any money has been put into it in twenty years. The ping pong table doesn’t have lines. The foosball table is losing its paint. But we did find a tennis court. 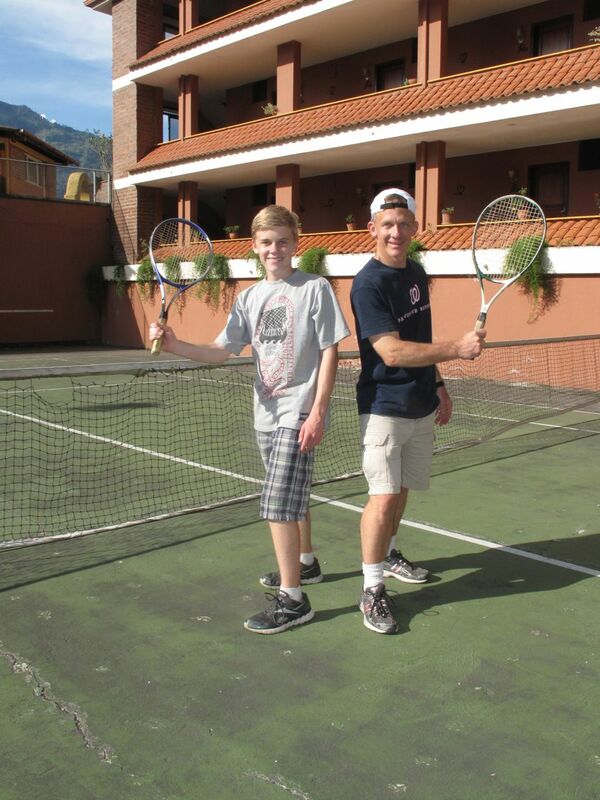 For $5 an hour, the staff lent us rackets, balls, and let us play on the court. It felt so good to swing my arms, move my feet. Granted, the ball wasn’t going where I wanted it to, but I was still playing. The conditions were different, though. The two rackets they lent us were at least fifteen years old. With no grips on the handles and one of the frames bent, their life was coming to an end. The staff lent us four balls, most of them very squeezable with little fuzz. The court itself was in similar condition. It had cracks and holes were in the net. The worst part of the court was that there were thick bushes nearby. The occasional wild hit would send a ball deep into the brush. 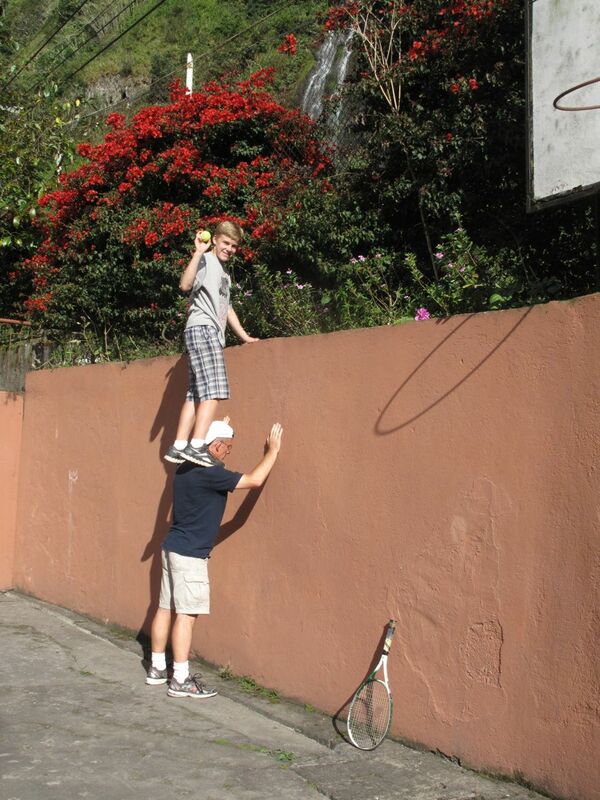 Since the plants hung over a wall, I would climb on my dad’s shoulders to reach the ball. Sometimes we never found it. Our ball count dwindled from four to three, three to two, and then down to one. After every point play was stopped to go and get the ball. Luckily, we had a friend coming from the States with two rackets and balls in a few days, so we enjoyed our last few times with the old rackets and ball. Then the ball got stuck in the plants and we were done playing until our friend arrived. 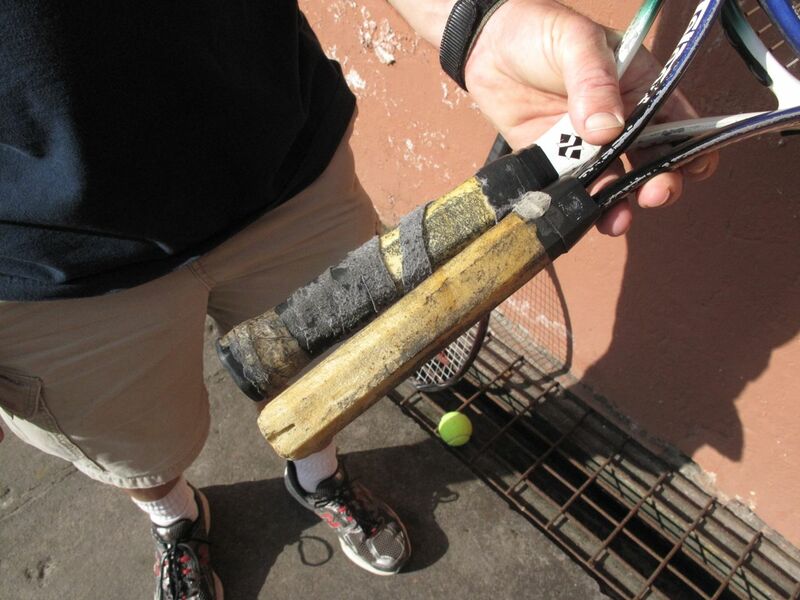 When I started using my racket from home again, with new balls, it felt great. I really appreciated the grip, the strings, and how the balls bounced. I laughed with joy and hit the ball. What fun! I loved our time playing with antiquated rackets and balls, for the experience and for how much more it made me appreciate what I have. Cool story, bro! Well written too. Glad you found tennis courts. I liked the pictures too. Looking forward to your return. Sometimes we have to improvise, Adam. Appears you have gotten pretty good at that, and I am sure you have learned that many of the things we take for granted in the States are not readily available for most people in the world. Just hope you have gotten good enough to beat your old grandpa when he gets there next week. And if there is a ping pong table around, you are really in trouble. Looking forward to riding turtles with you soon. I loved it!!!! Great story telling. I hope to share your spit in the face story with my 7th grade students here in Hawaii. I thoroughly enjoy all your entries, the whole family! What a fabulous experience, and the holiday season in Banos is the best I ever had anywhere…. What a great story and pictures. Thanks for sharing. 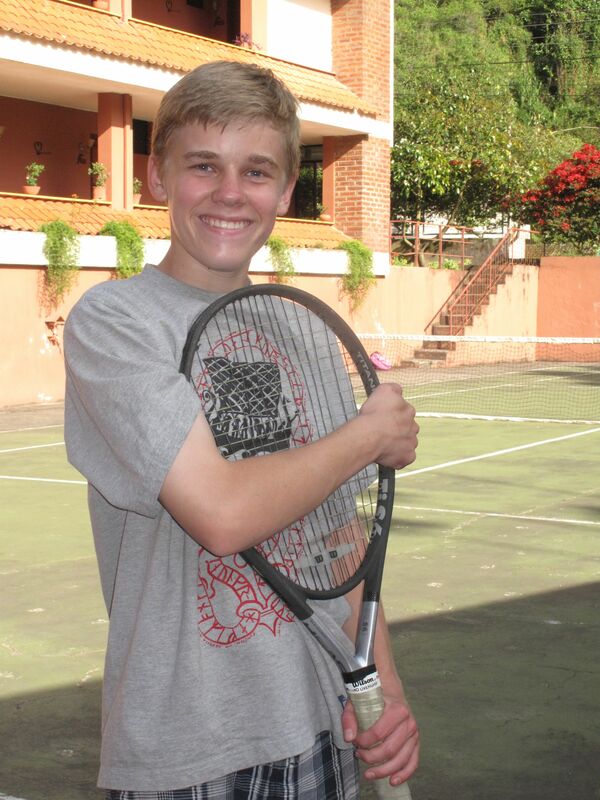 I know the tennis team will be excited to have you return. We all take things for granted we shouldn’t. All the smallest things are gifts. We live a pretty cush life in the US compared to other countries and we also have much more than many Americans that have fewer opportunities. You are fortunate to have had this opportunity to leave abroad and expereince different cultures. Looking forward to your return to the states.